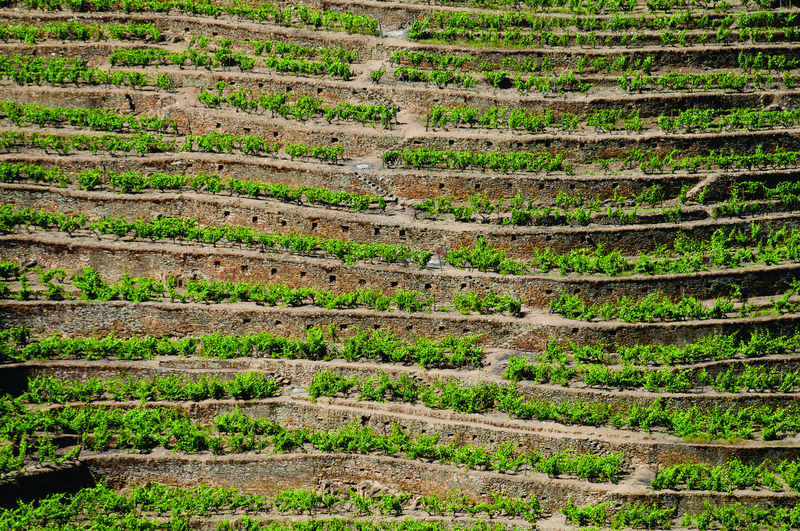 Whilst the tried and tested traditions of grape-growing continue to flourish in the Douro, new resources and techniques allow us to experiment and modernise viticultural methods so as to fully exploit the benefits of the terroir. It was with the intention of objectively evaluating these new resources, among others, that the experimental vineyard was planted, and to give us a greater insight into how best tradition and technology can be combined to make even better wines. Primarily, the experimental vineyard allows direct comparison, under identical viticultural conditions, of different grape varieties, rootstocks and the interactions between them. Due to the carefully planned layout of the vineyard, a wide range of experiments and investigations can be relatively easily carried out. The identical climatic and soil conditions for all the vines across the vineyard make it ideally suited to comparisons of the length and timing of vegetative cycles. All the different varieties that exist in the vineyard are planted in adequate amounts to provide sufficient quantities of grapes for microvinifications to be carried out. Having the capacity to carry out such exercises is fundamental to the purpose of the vineyard as none of the information is of much use unless it can be practically translated into improvements in wine quality and consistency.